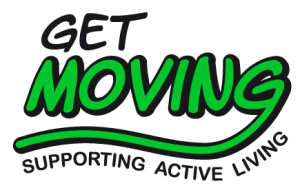 The Get Moving study has been designed and developed in connection with the CUHNHSFT. The study is in keeping with our aim to support the health and wellbeing of our staff, and of our vision of research as an everyday part of Trust activities – which includes staff as well as patients participating in research studies. The Trust is therefore encouraging staff to participate in the study, and to facilitate this, has agreed that the two visits to the (on site) measurement centre can be completed in Trust work time. Prior agreement from the individual’s line manager must be sought. Welcome to the Get Moving Study website. This study aims to test the effectiveness of three interventions to increase physical activity and fitness. It is open to all staff employed on the Addenbrooke’s site. If you would like to know more about the study please use the menu on the left hand side to navigate around the site. Thank you for your interest in the Get Moving study, but registration is now complete.